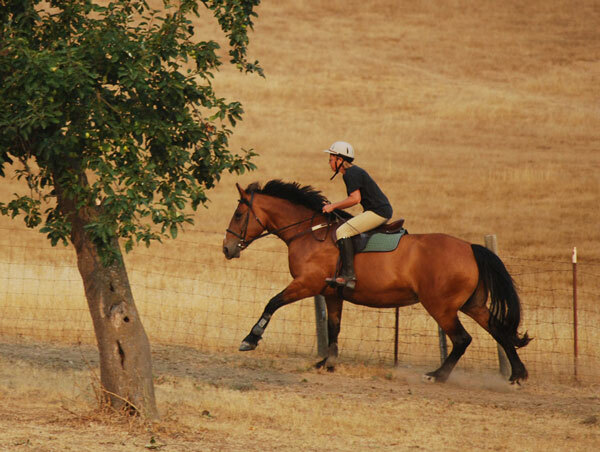 Kleary is a forward sort of mare. 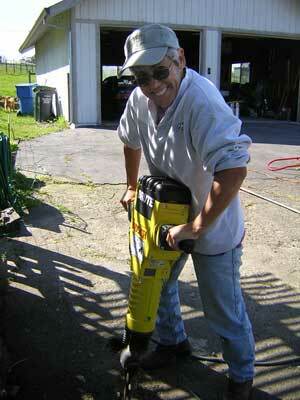 Karen really likes to ride that Kleary! 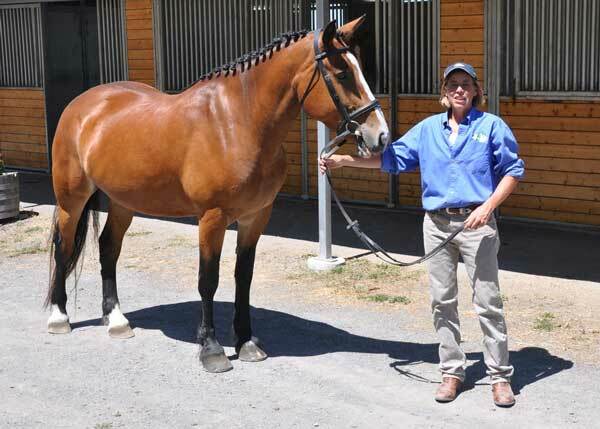 We could not be more pleased about the arrival of our outcross RID mare, Moorpark Girl. Above, Moorpark Girl as a young Irish lass. 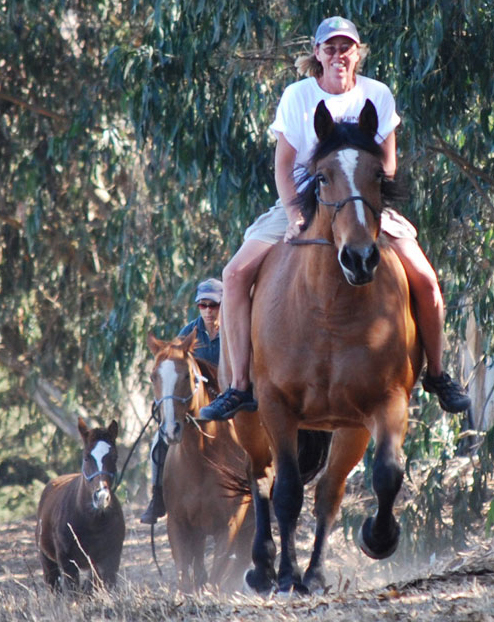 Looking forward to lots of good times with all the horses and friends of Kleary Field. 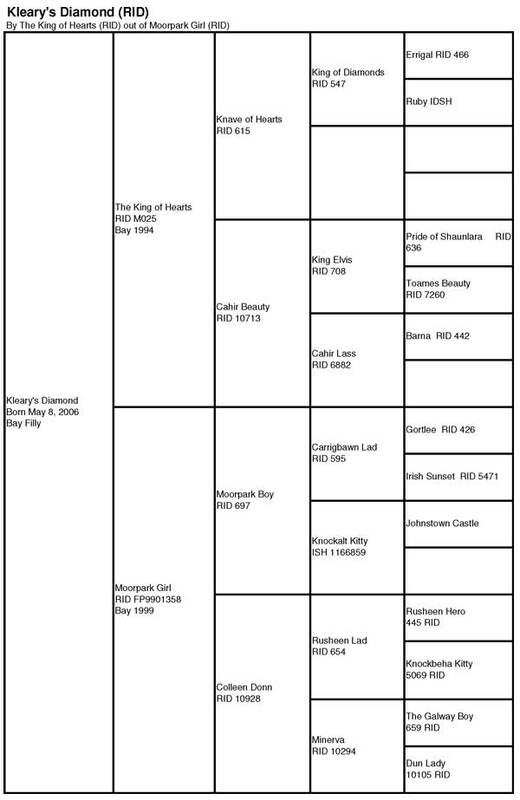 Moorpark Girl has had four filly foals, Kleary's Grace (RID) in 2005, Kleary's Diamond (ID) in 2006, an outcross filly Kleary's Blue Streak (ID) in 2007 and another outcross Kleary's Double Park (ID) in 2009. 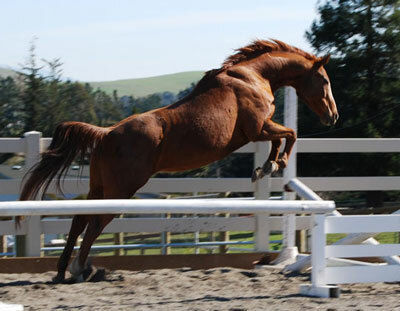 In 2011 Moorpark Girl produced her first purebred colt, Kleary's Rush Moor (ID). 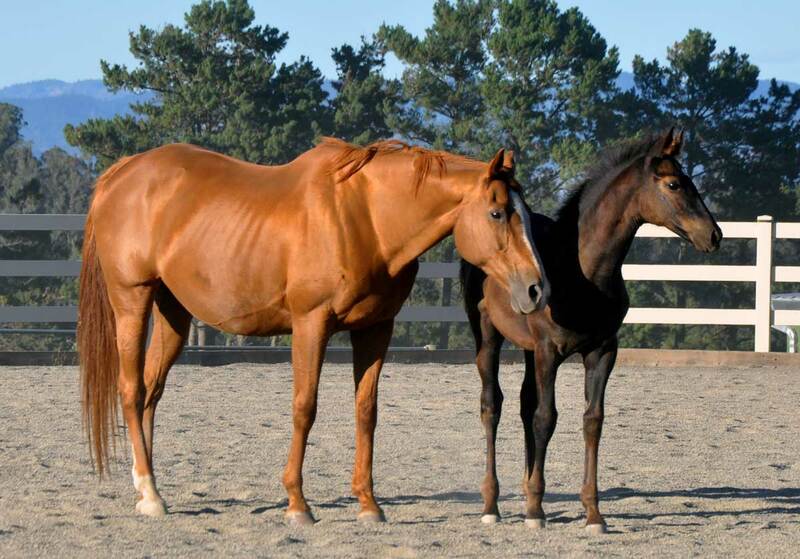 a 2008 filly named Kleary's Sweet Heart, and a 2011 filly, Kleary's Lucky Star (Stella). Pictured above in 2009 at 7 months pregnant. 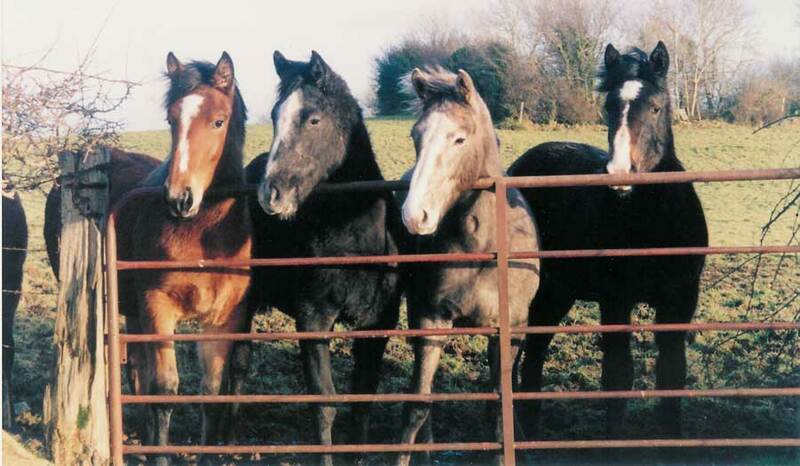 Lulu enjoys the company of other horses and of young people. Alex is pictured here all decked out for a morning of riding. 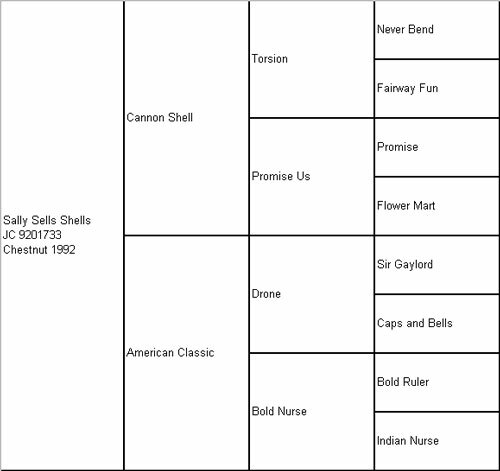 Sally Sells Shells (aka Lulu) is a 1992 Chestnut mare by Cannon Shell out of American Classic (by Drone). 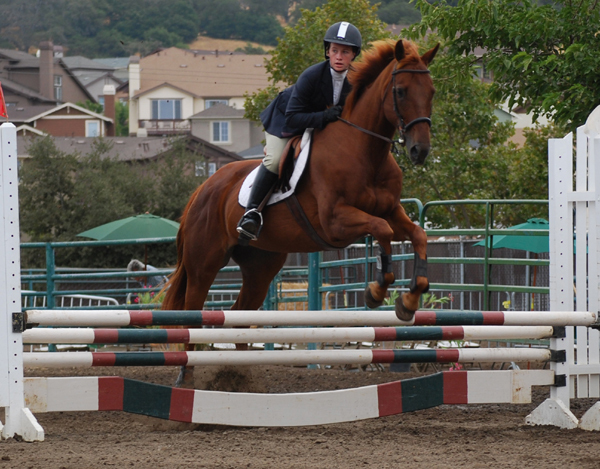 Kleary's Grace is a home-bred 2005 chestnut mare by Coille Mor Hill (RID) an international show jumper. She is out of Moorpark Girl (RID). 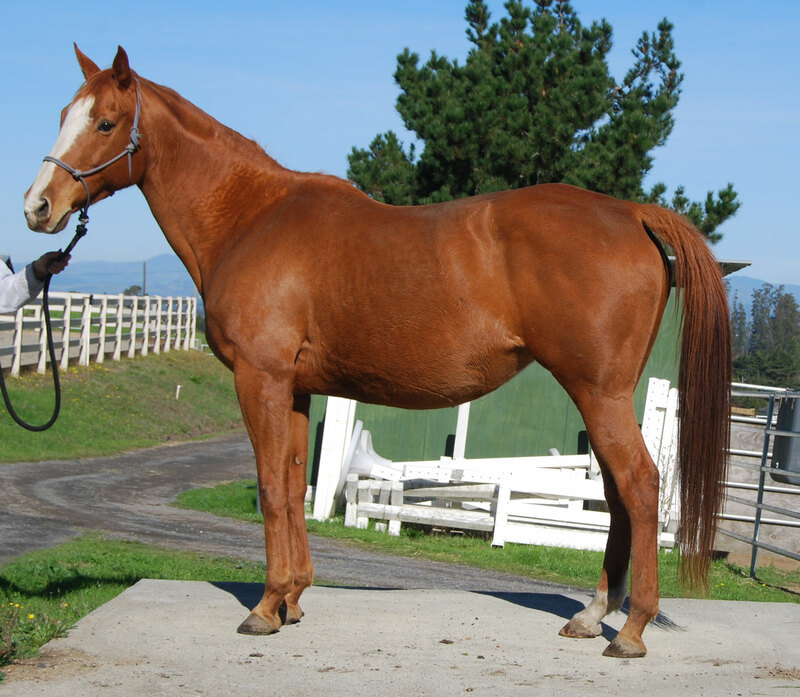 Grace was inspected and approved in 2008 for RID status and has a 2009 filly, Kleary's Clover Girl. 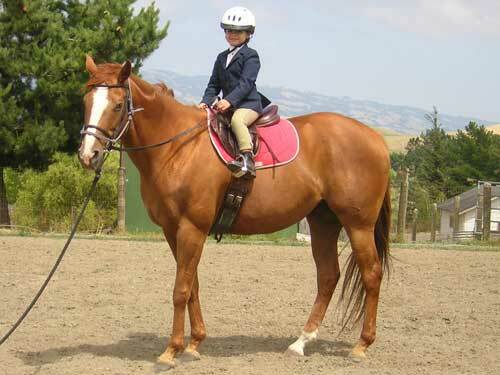 Grace produced her first purebred, a colt Kleary's Fox Kennedy in 2011. Both offspring are exceptional. Grace has an amzingly calm temperament and great movement and we can not image life without her. 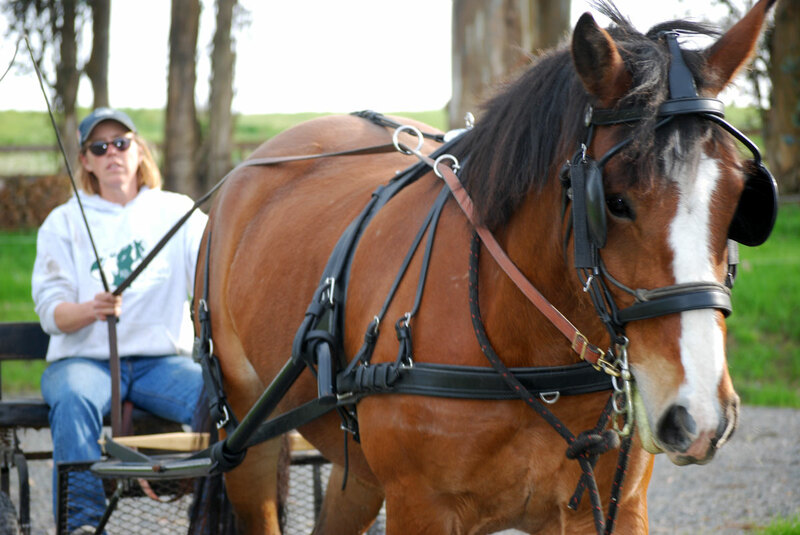 Grace will serve as a broodmare and our ranch ambassador providing rides to all comers! 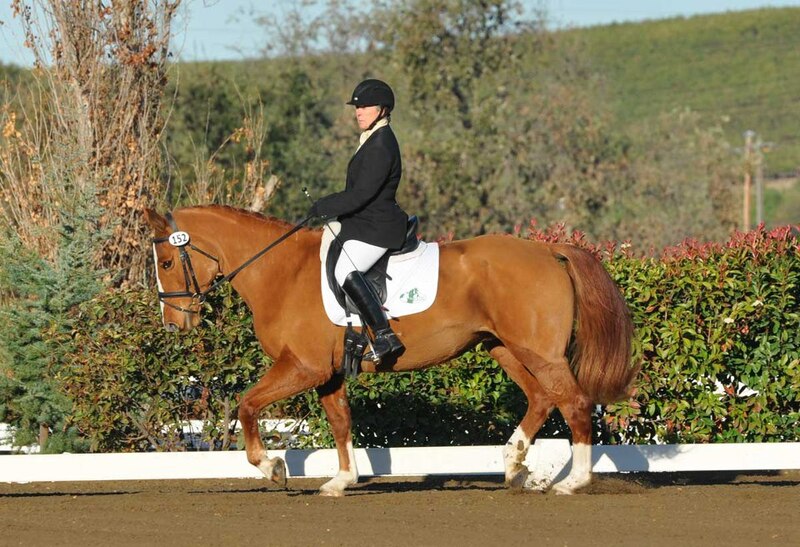 Grace competed at Training level dressage in 2012 and 2013 placing well in recgnized shows. 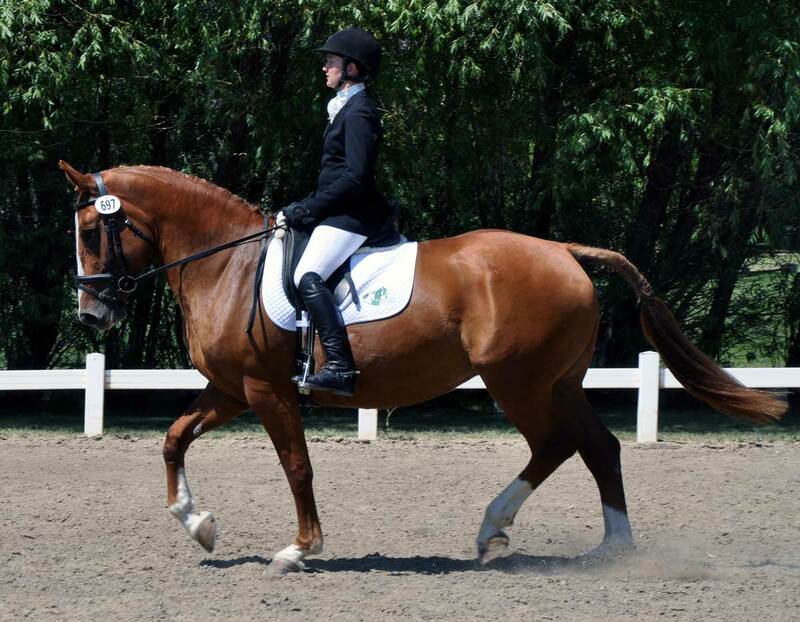 She was the Training Level Dressage Champion at the 2013 IDHSNA breed show competing against both purebred and partbreds. 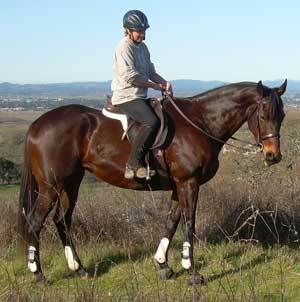 Kleary's Diamond (KD) is a home-bred 2006 bay mare by The King of Diamonds (RID) a grand prix show jumper. She is out of Moorpark Girl (RID). 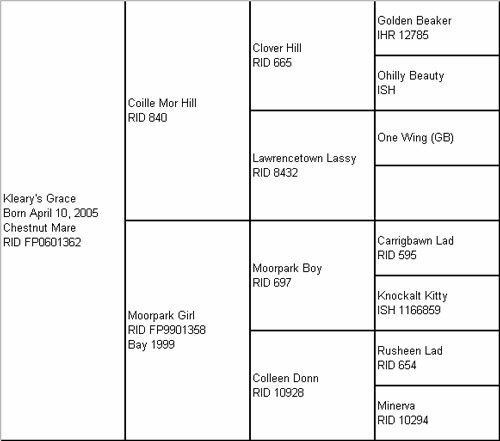 KD was inspected and approved for RID status and has a 2013 filly, Kleary's Rosie the Riveting. 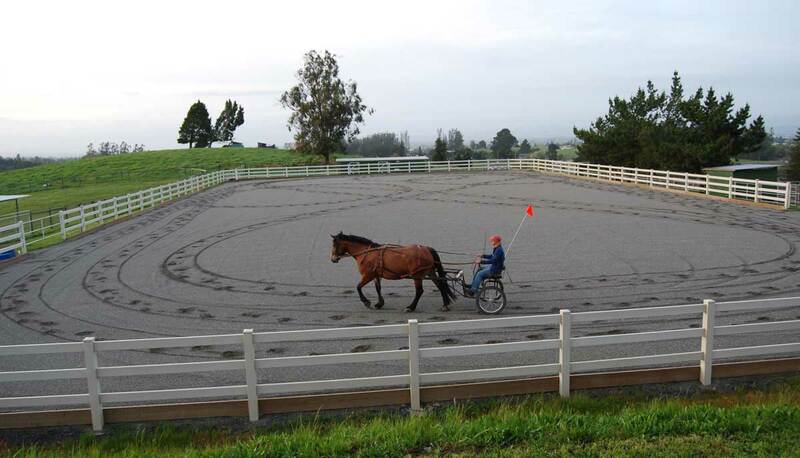 KD spent 2011 learning to drive and acts as Karen's "pony" around the ranch. 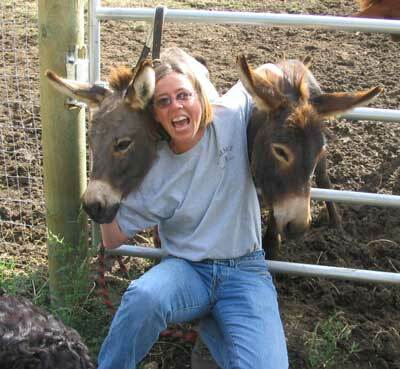 Lucinda A. Romero (at right) is the boss mare. 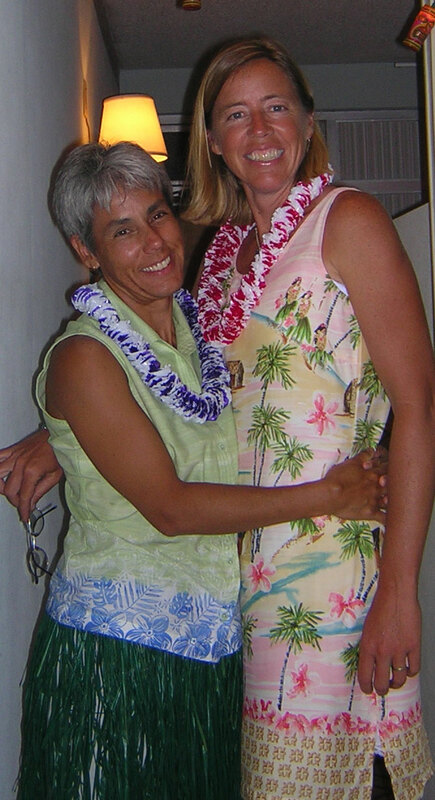 She keeps Kleary Field in order with the assistance of her fine partner (and web designer) Karen E. Young (pictured at left). With these two names you have all the information you need to figure out where "Kleary" comes from. 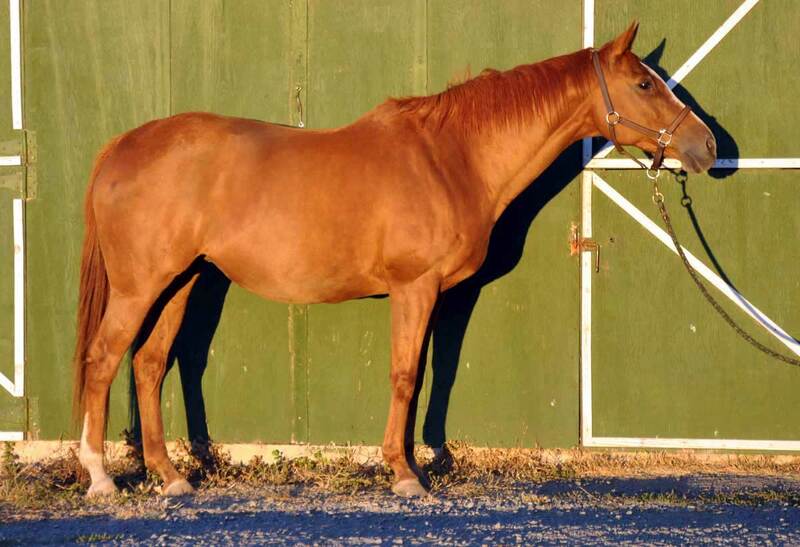 Foaled in 1993, Dax is a 15.3 hand, light bay Oldenburg/Thoroughbred cross mare by Wendeplunkt out of Iron Leg. She is has Evented at Training Level. Dax has opinions, adores eating and loves to jump. 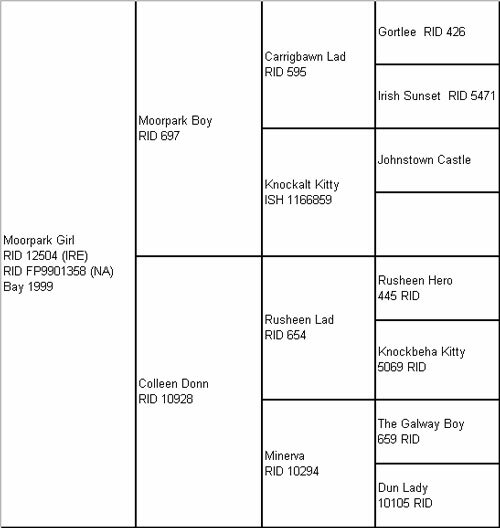 Sheaman (RIDSH) is her colt foal. 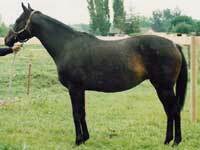 Foaled April 9, 1990 Susie was a 16 hand, dark bay Thoroughbred mare by Native Prospector out of Justine Time (FR). She was line bred of Nasrullah. She was an intelligent and wonderful horse. 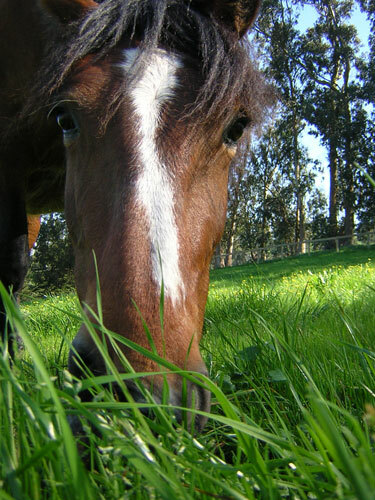 Susie passed away in December 2004 from complications of colic surgery. We miss her quiet good humor. We see her independence and calmness in her son JP Young (RIDSH). 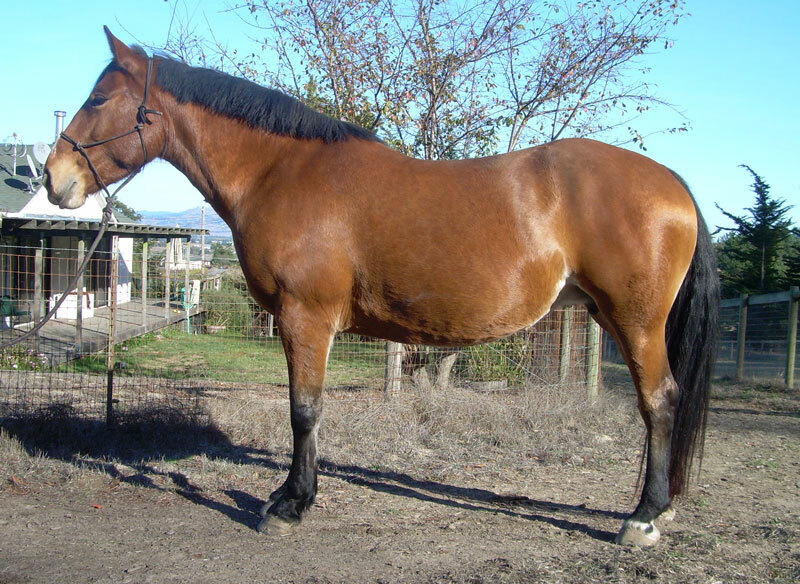 Foaled March 2, 1996, Chloe is a 17 hand, dark bay Thoroughbred mare by Seattle Bound out of Sweet Fulfillment. 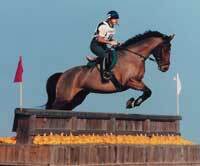 Her brief racing career culminated in a 1999 win. She has completed in some local Events. She is imposing in stature and sweet in temperament. Chloe is Boxster's mare.